The video that you are about to see is gonna make you laugh, cry and wonder how on earth is that guy even participating in the hurdles event. I mean come on, even if you can’t jump over the hurdles you shouldn’t go crossing other competitors’ lanes and go thrashing their hurdles. Hilarious stuff. Read on for the video. Total fail eh? But just look at him go, his perseverance, his energy and passion… I’m totally inspired by him. Fail once, who gives a damn? Fail twice? Ok, I’m gonna go run through all those hurdles. Who needs to jump anyways. Watch me. 1. 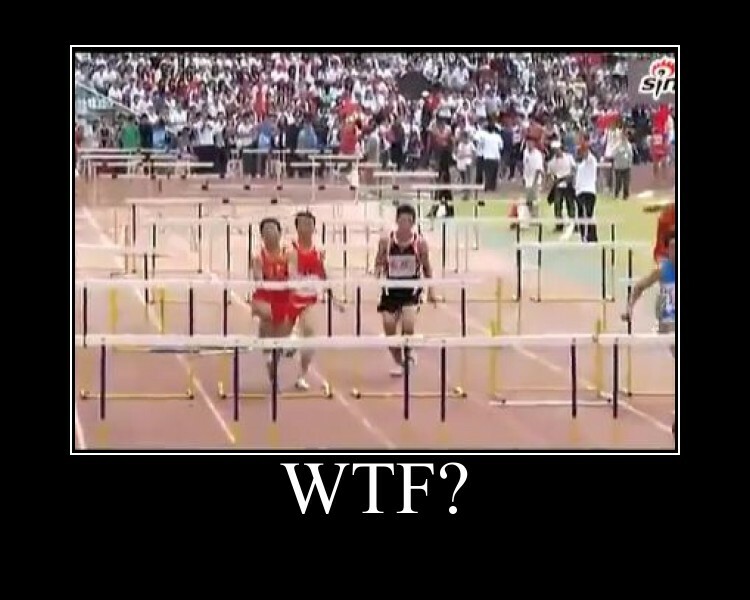 You’re supposed to jump over the hurdles, not run through them. 2. You’re supposed to keep to your bloody lane. The line is there for a reason.